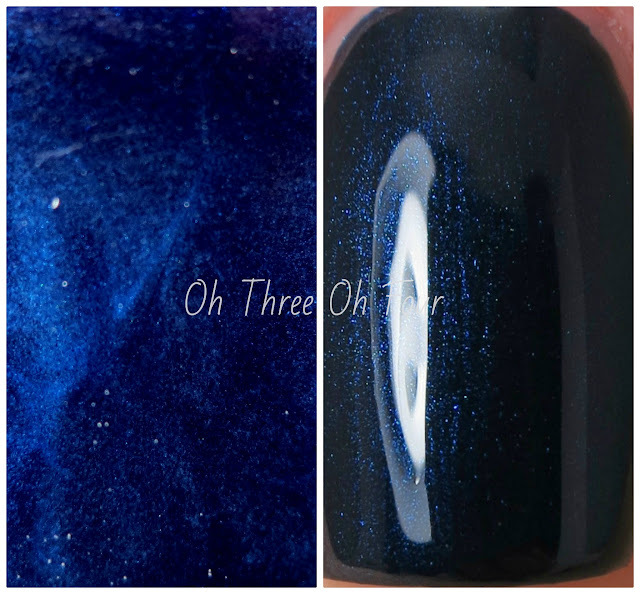 Essie Midnight Cami is described as a shimmering deep twilight blue. All nails are 2 coats with no top coat. Lynnderella The Stars In Her Eyes... is a mixture of various sized holographic stars and hexagons in a clear base. I topped my above manicure with 2 coats of The Stars In Her Eyes... and a top coat of Seche Vite. Essie can be found in stores at Walmart, Target, Ulta, etc. and online through Essie's website here. Find Essie on Facebook here and Twitter here. 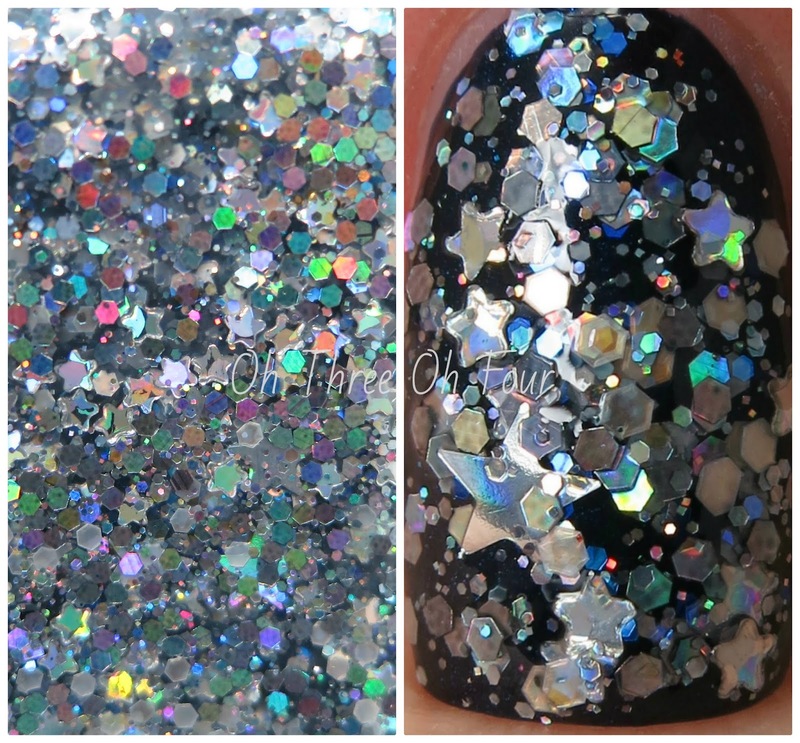 Lynnderella polishes are sold exclusively on eBay here. You can follow the Lynnderella fan pages on Facebook here, Tumblr here, Twitter here and Instagram here.